Once mistakenly believed to be bad because of its saturated fat content, coconut oil is now known to contain a unique form of saturated fat that actually helps prevent heart disease, stroke, and hardening of the arteries as well as provide many other health benefits. Interestingly, the secret to coconut oil’s healing powers came as a result of research on human breast milk. Breast milk has been called nature’s perfect food. It contains all the vitamins, minerals, and other nutrients necessary to feed a baby for the first year or so of life. Within this milk are certain nutrients that not only provide an ideal source of nourishment but also protect the baby from disease-causing bacteria, viruses, and fungi that are so prevalent in our environment. Years ago it was discovered that human breast milk contains a unique group of saturated fats known as medium-chain triglycerides (MCTs). These fats are very different from the fats in meat and even other vegetable oils. 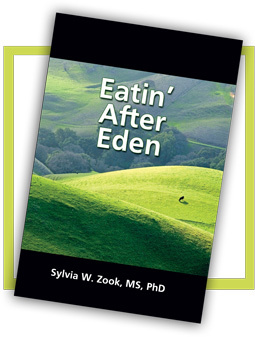 When eaten, the body transforms MCTs into monoglycerides and medium-chain fatty acids (MCFAs), both of which possess powerful antimicrobial properties capable of killing disease-causing bacteria, viruses, and fungi. It is due primarily to the presences of MCTs in human breast milk that protect babies from infections for the first few months of their lives while their immune systems are still developing. The fats in our food are composed almost entirely of long-chain triglycerides (LCTs). Some 98 to 100% of the fats and oils we eat consist of LCTs. Other than breast milk there are very few good dietary sources of MCTs. By far the richest natural source of MCTs comes from coconut. Coconut oil is unique in that is composed predominately of MCTs. For this reason, coconut oil can have a pronounced impact on our health just as mother’s milk does on newborn infants. This is what makes coconut oil different from all other oils and what gives it its unique healing characteristics. Researchers theorized that if MCTs from breast milk could protect babies from infections, they could also protect other age groups as well. If this is true, a source rich in MCTs would provide a safe and effective way to fight off infectious illnesses. Since coconut oil is the richest natural source of MCTs, researchers have studied it extensively in this respect. They have found that MCFAs, which are created from the breakdown of MCTs in coconut oil, possess very powerful antimicrobial properties. This is well documented in the medical literature. Studies show that MCFAs from coconut oil are effective in killing bacteria that cause ulcers, sinus infections, bladder infections, gum disease and cavities, pneumonia, gonorrhea, and many other illnesses. They kill fungi and yeasts that cause ringworm, athlete’s foot, jock itch, and candidiasis. They kill viruses that cause influenza, measles, herpes, mononucleosis, and hepatitis C.
Food processors have recognized the importance of MCTs in mother’s milk and have been adding it in various forms to infant formula for years. MCTs not only help protect babies from infections but they provide an important source of nutrition. One the differences between MCTs in coconut oil and the LCTs that are more commonly found in our diet, is the way in which our bodies digest and metabolize them. MCTs digest very easily. Unlike LCTs, MCTs do not need pancreatic digesting enzymes or bile for digestion. 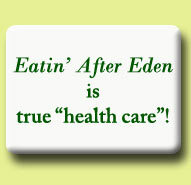 Because they digest so quickly they provide a quick source of nutrition without taxing the enzyme systems of the body. Studies have shown that when premature infants are given formula containing MCTs they grow faster and have a higher survival rate. This is another reason why they are added to commercial infant formulas. The fact that MCTs are easier to digest than other fats is good news for those with digestive concerns. Newborn infants, cystic fibrosis sufferers, those with gallbladder problems, and anyone who has difficulty digesting fats can benefit from using coconut oil. Because MCTs are digested and assimilated easily by the body, they increase the absorption of other nutrients as well. Studies show that MCTs enhance the absorption of minerals, particularly calcium and magnesium. They improve the absorption of some of the B vitamins, the fat-soluble vitamins (A, D, E, K, and beta-carotene), as well as amino acids. Nature was wise in adding MCTs to mother’s milk. Because MCTs provide a quick source of nutrition and improve absorption of other nutrients, coconut oil has been recommended in the treatment of malnutrition. Studies show that when coconut oil is added into the diets of malnourished children their recovery is faster. Keep in mind that coconut oil does not necessarily supply all the missing nutrients. It does make nutrients that are already present in the diet more absorbable. Bruce Fife, ND is the author of several books including The Coconut Oil Miracle and Coconut Cures. He is the director of the Coconut Research Center, a nonprofit organization dedicated to educating the public and medical profession about the health benefits of coconut. You may visit his web site at www.coconutresearchcenter.org.